Sanyo today marked the launch of its Sanyo Xacti VPC-CA102YL which is a waterproof camera with a difference. 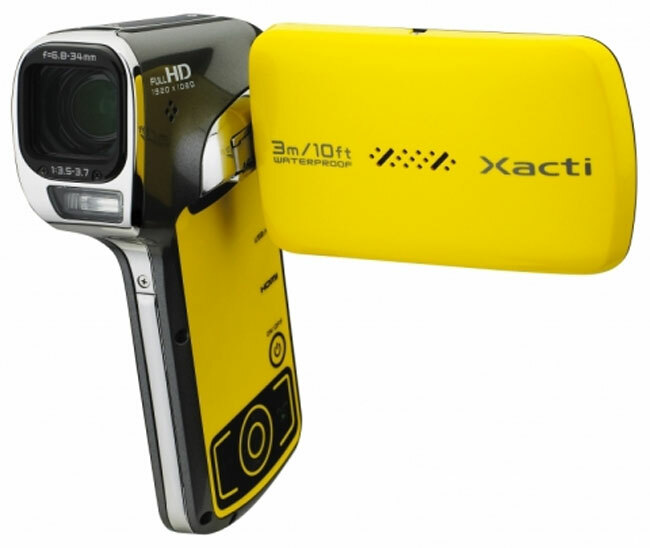 The Sanyo Xacti VPC-CA102YL is capable of recording full HD videos underwater and can even take 14 megapixel still photos. Its waterproof abilities last up to 10 feet and it can record video in MPEG-4 AVC/H.264 formats which makes sharing of the video easy! The camera can alaso be used indoor and is pretty small considering its awesome features. It conveniently fits in your palm and can be carried in a pocket. The camera can also connect to high definition TVs and photos and videos can be displayed in Full HD resolution. The camera uses a proprietary “double-range zoom” feature for zoom operation while filming video with 12x zoom available from wide angle to telephoto for capturing distant objects. You can find more information about the Sanyo Xacti VPC-CA102YL here.